Hello from London!! It’s that time of year again. 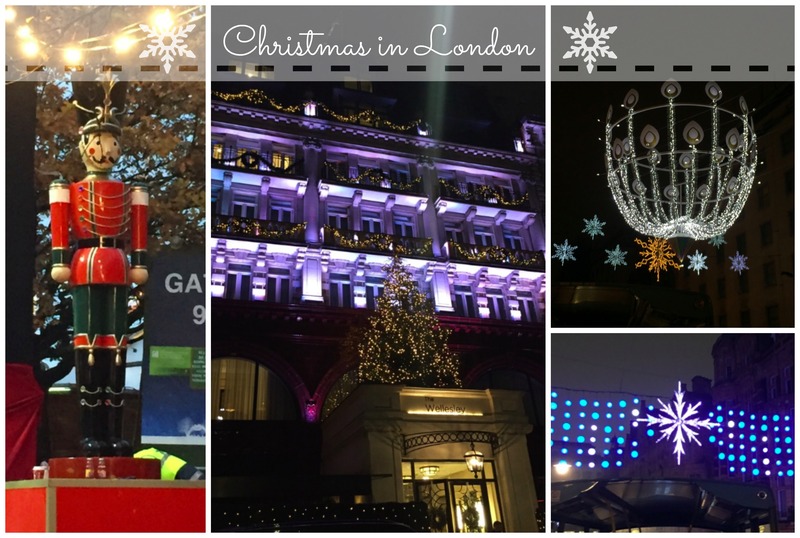 Time to see the lights, visit some nice markets and shop until you drop. But being away from home means a few different things too. It means it is time to have some Mulled Wine and visit a few special places only open in the great city of London. ‘Tis the season! Which means it’s time to travel to the best place on earth, well in London at least: Winter Wonderland! 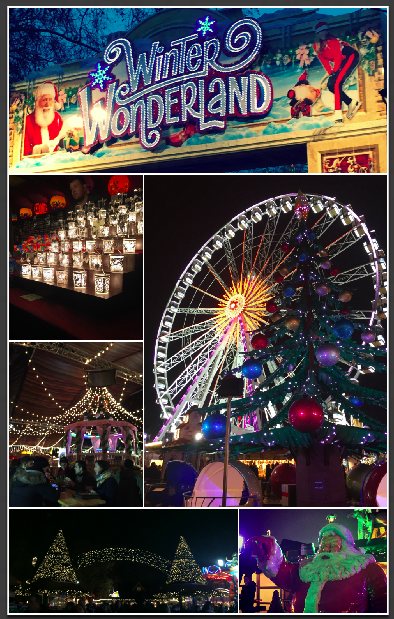 Winter Wonderland is a gorgeous festival in central London where you can: listen to some music, ice skate, go on some rides and shop at one of the biggest markets. This year is their tenth anniversary. It can be really chilly, especially at night, but not to worry, you can grab yourself some warm Mulled Wine to heat yourself up or a nice cup of hot chocolate. I also bought myself a new warm scarf. 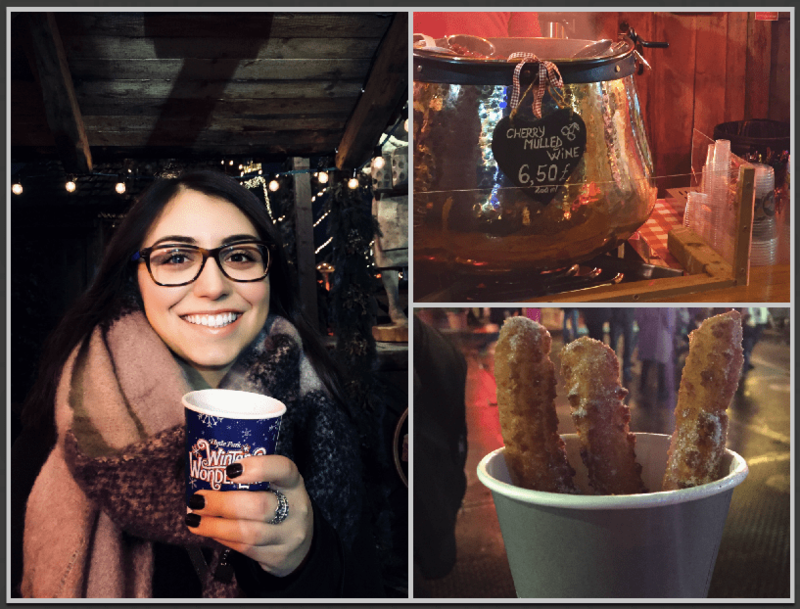 I tried some Mulled Wine for the first time this year when I was in Winter Wonderland, and I was impressed. I will be making my own this holiday season and will try to share my recipe soon. Shopping can be extra fun with so many markets! 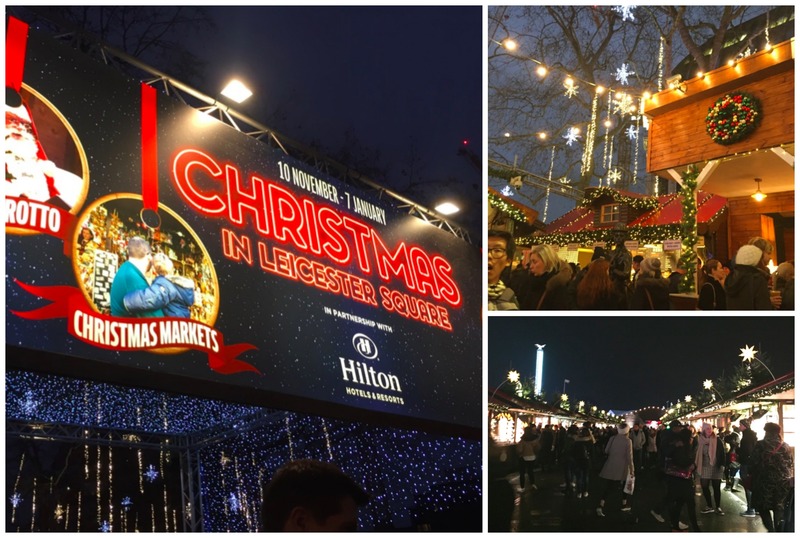 Covet Garden, Winter Wonderland (Hyde Park), and Leicester Square, are only some of the many places you can find Christmas markets! Shine Bright! 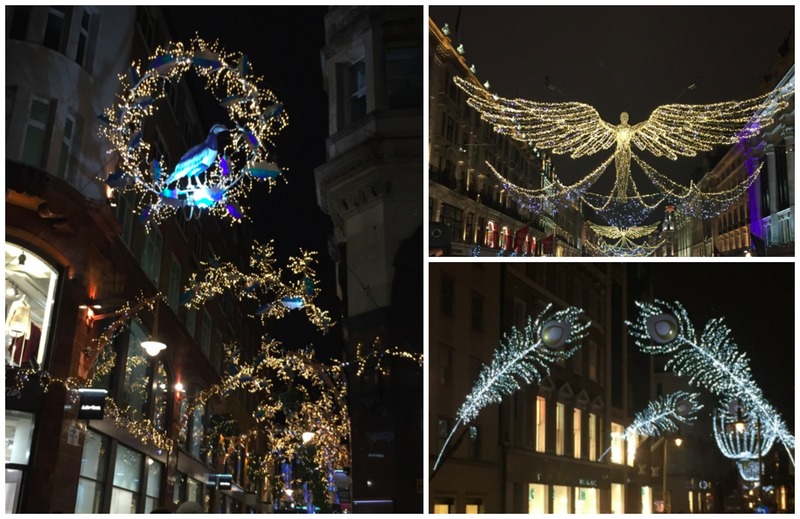 If you live to see some amazing Christmas lights during the holidays, London is the place to go! 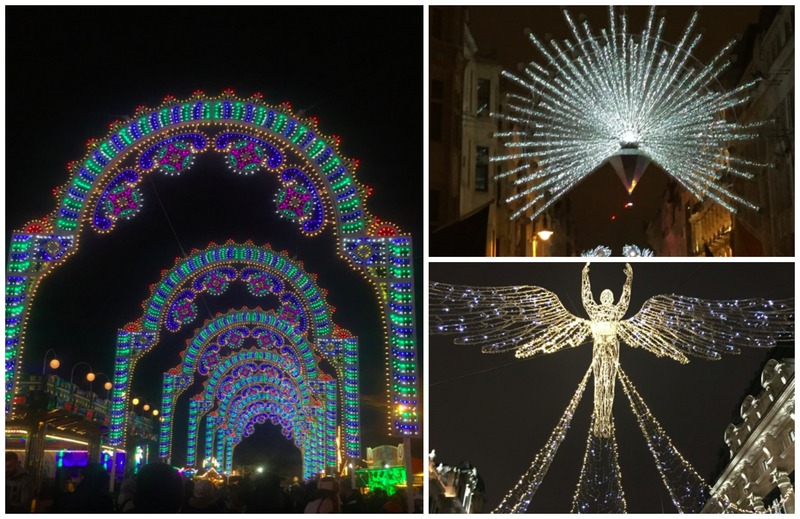 The streets are lit up with thousands of lights that shine bright all month long. It’s hard to see them all, so I took one of the many Christmas Light Night Tours, available in the city. It made it a bit difficult to take pictures, but it was the best way to see all the wonderful lights. Hope you have a chance to see it too!! Come for a visit! Want to see Paris at Christmas? 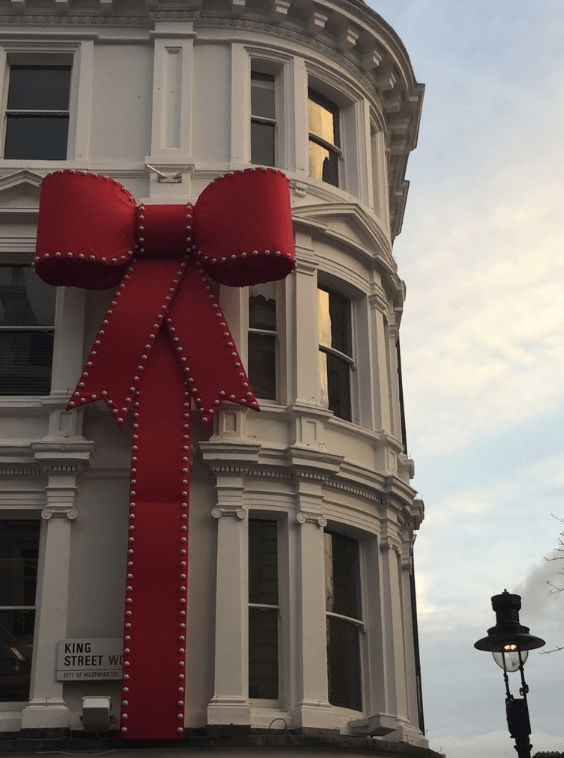 You may be interested in my Christmas in Paris post. 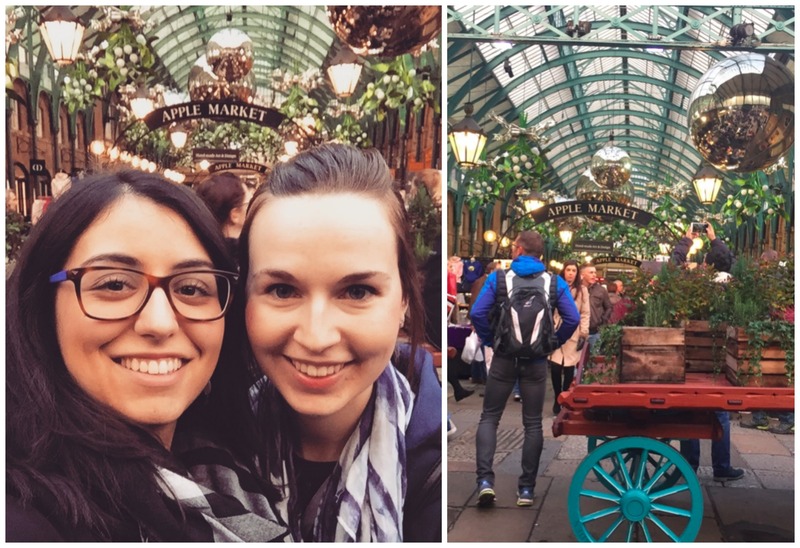 *Guest post by Marissa (Margaret’s daughter) that is spending a year in London as a High School Teacher.